So there you have it: aging is a product of the presents. Please Sir, Will You Buy My Book? We’re so close, I can taste it. I guess I could actually taste it, if I wanted to. 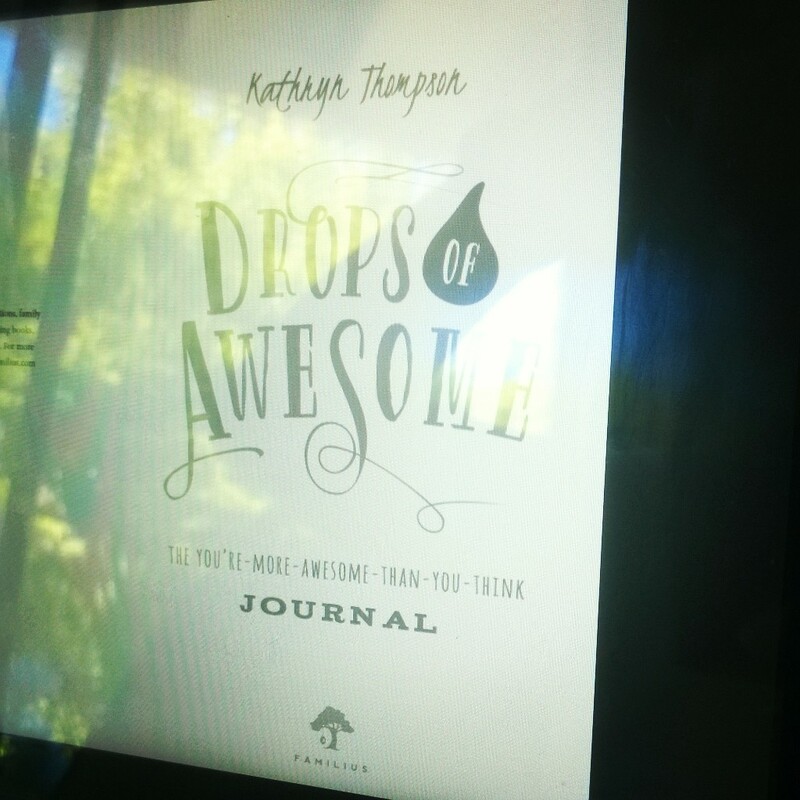 Although Drops of Awesome: The You’re-More-Awesome-Than-You-Think Journal doesn’t release for another week, I already have my copies in all their deliciousness. That was an exciting day. Laylee said that me opening my box of books reminded her of George McFly getting his first box of books at the end of Back to the Future. I take that as the highest compliment. 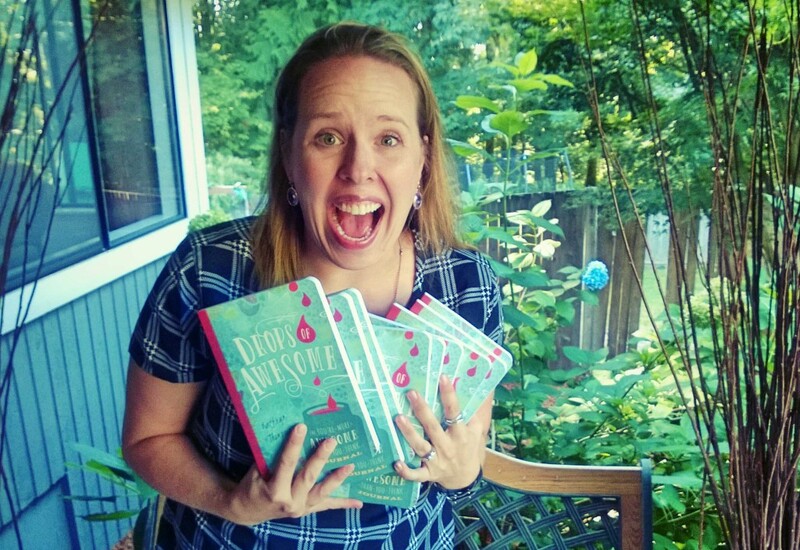 I would also take it as quite a morale boost if you would pre-order Drops of Awesome on Amazon today. You can buy it any day but we’re trying to see how high we can get the Amazon rank to climb, so today would be especially helpful. I love the book. The ideas within its pages have changed my life multiple times. Let’s call those times “course corrections.” And I really want to see the book and the movement spread throughout the world. We need to start defining ourselves by who we are and what we do, not who we aren’t and what we don’t. We need to celebrate our victories, no matter how small to help us build momentum to do even greater things. And we need to know that a new story starts this instant. If you are taking positive action now, then you are the person you want to be. 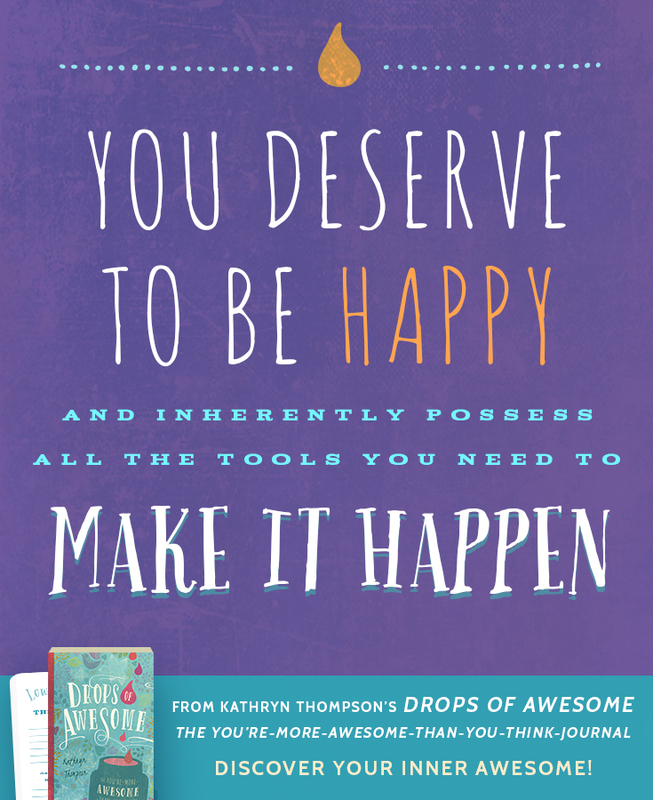 I want you to see just how awesome you are! Please take this journey with me. Well, it starts. School. More specifically middle school. Queue the silent scream. 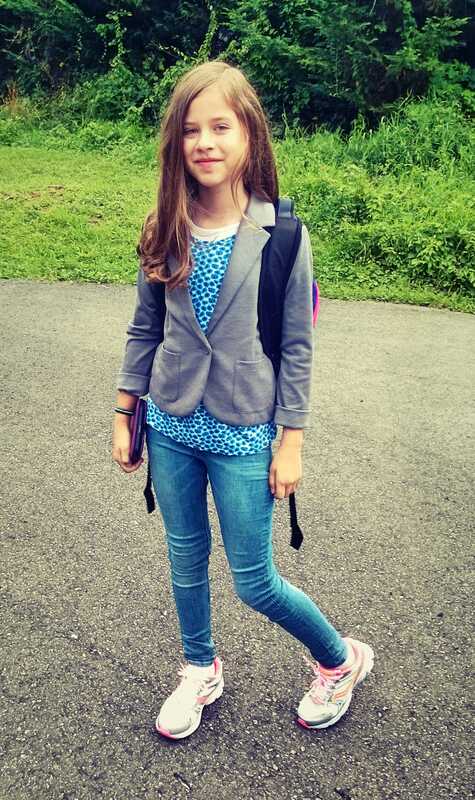 This person is far too old and far too tween-ular for my liking. I still like her, but like I said, the silent scream. Things take longer in the morning when your destination is middle school. 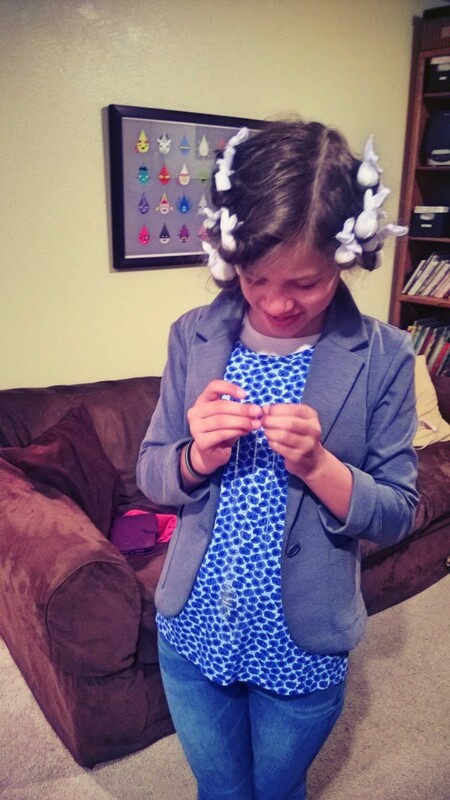 You have to panic because your curls “look weird” and then you have to de-weird them. You have to wear lipstick for the first time. That’s right people, LIPSTICK, because you are old and mature and… SILENT SCREAM. 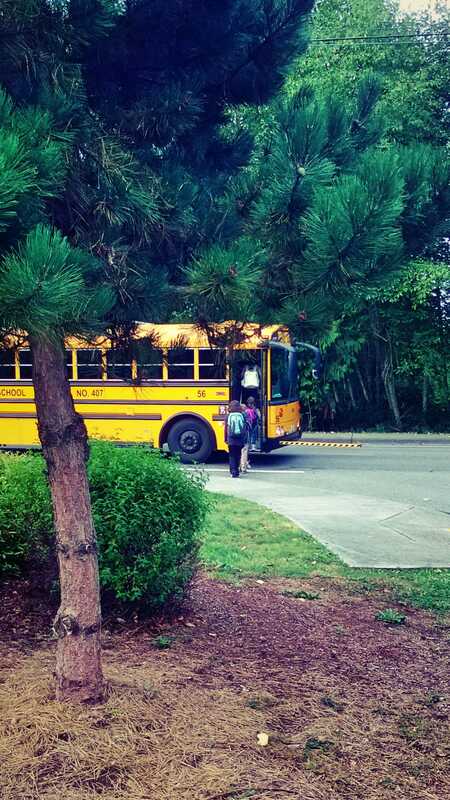 So this is her back-to-school bus picture. From behind the trees. With Laylee super tiny because I didn’t have a razzi lens on my Windows Phone camera. She will do great. Me too. At least the screams are currently silent. Then there is Magoo. He has never cared about fashion. Or, I should make a correction, he has always cared about fashion just enough to know that he wanted no part of it. 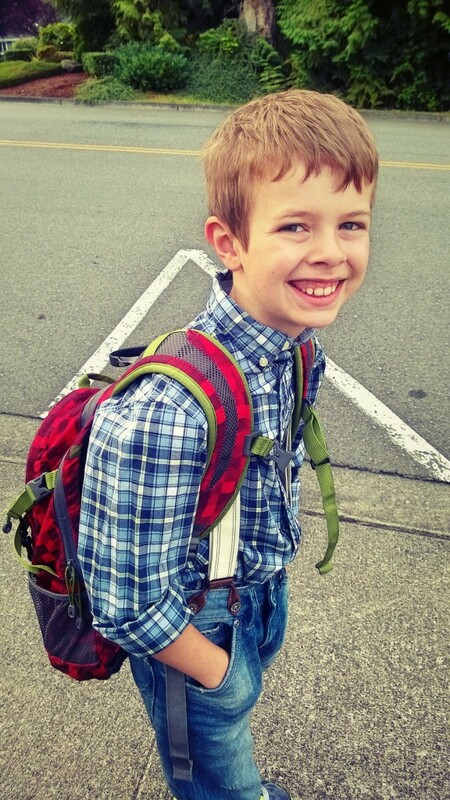 The look of horror he gave me last year when I suggested he wear a button-up shirt to school picture day curled my toes. He doesn’t want to stand out, doesn’t want to be uncomfortable, doesn’t want to be seen as someone who cares about what he’s wearing. I had no idea but I was willing to take the gamble. And it paid off. He is even now on the bus to learning land, dressed like someone who’s misplaced his street urchin boy band. 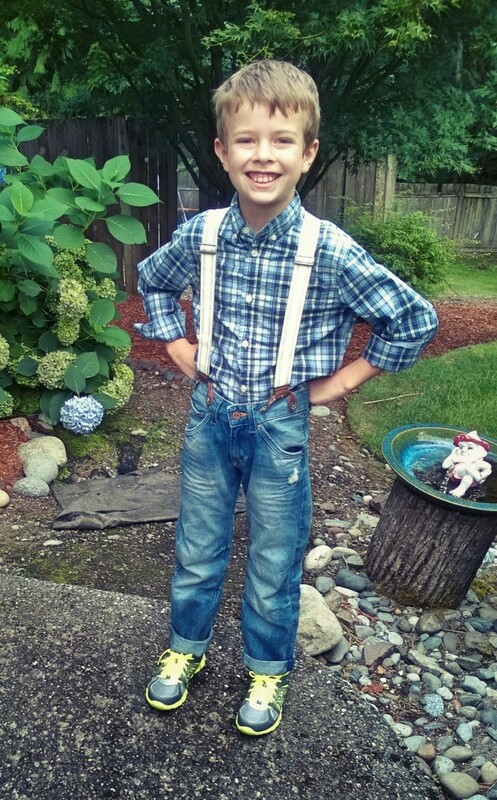 Out of two kids at his bus stop this morning, only two of them gave him a hard time for wearing suspenders. So that’s something. I don’t care. The cuteness cannot be stood for. I had a moment this morning where I was praying over my breakfast and it ended up being a way long prayer about the kids and school and all of my wants and desires for them. 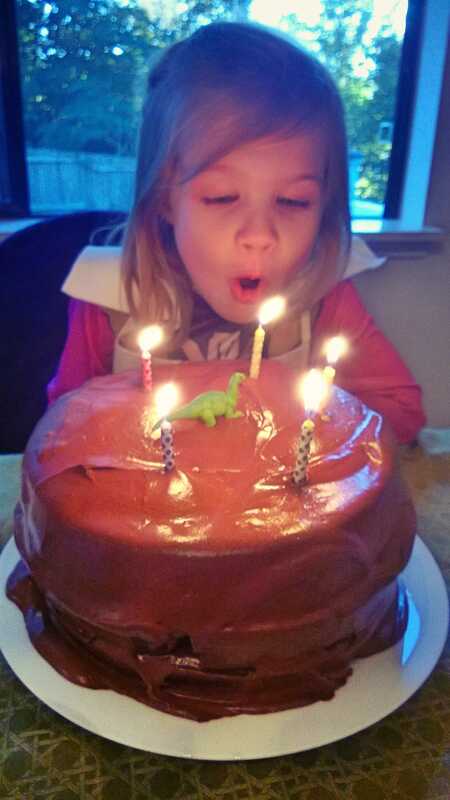 It’s swallow-you-up raw, that surge of emotion you get when you think about your kids and their happiness and future. I can’t express in words how badly I want them to be happy. And off they go into the breach and I start the countdown to summer all over again. I will miss my friends. If you’re reading a good book, chances are, terrible things are happening to the main character. She’s making bad choices. People are mean jerks, doing things to make her life harder… or end it. Bad things are not good. You can’t change what’s happened in the book. So, why even keep reading? I keep reading because I want to know what happens next. I keep reading because I know that no matter what has happened in the past, the future can always be brighter. In life, you keep going because you decide what happens next. Minute by minute, choice by choice, you could be creating the world’s greatest comeback. As we left for our vacation this summer, I was in a foul mood. Everyone was moving too slowly. My kids, my husband, the car in front of me on the one-lane road out of town. I wasn’t nice. To anyone. The car descended into gloomy silence and I sat at the steering wheel fuming. At first I was mad at everyone else. Then I was simply mad at myself. We had just begun an all day road trip and I had been an impatient jerk, hurting people’s feelings and setting a horrible tone for the journey. Then I asked myself, “What happens next?” Because really that’s all that matters. It took me about an hour to cool down, but the next words out of my mouth were an apology and after that the next words were positive. Eventually, I was ready to create fun and the road trip turned out to be lovely. I’m so glad I didn’t throw in the towel just because I’d been a jerk for ten minutes but I came REALLY REALLY close to deciding the whole day was a wash.
Every hero has her low points. But what makes an inspiring, enduring hero? She keeps going. She knows that everything she’s been through can be raw material to make her stronger, better and more heroic. She tries not to make the same mistake twice, but if she does, she tries not to make it a third, fourth, fifth, or thousandth time. This is a journey and the end has not been written. Keep reading! 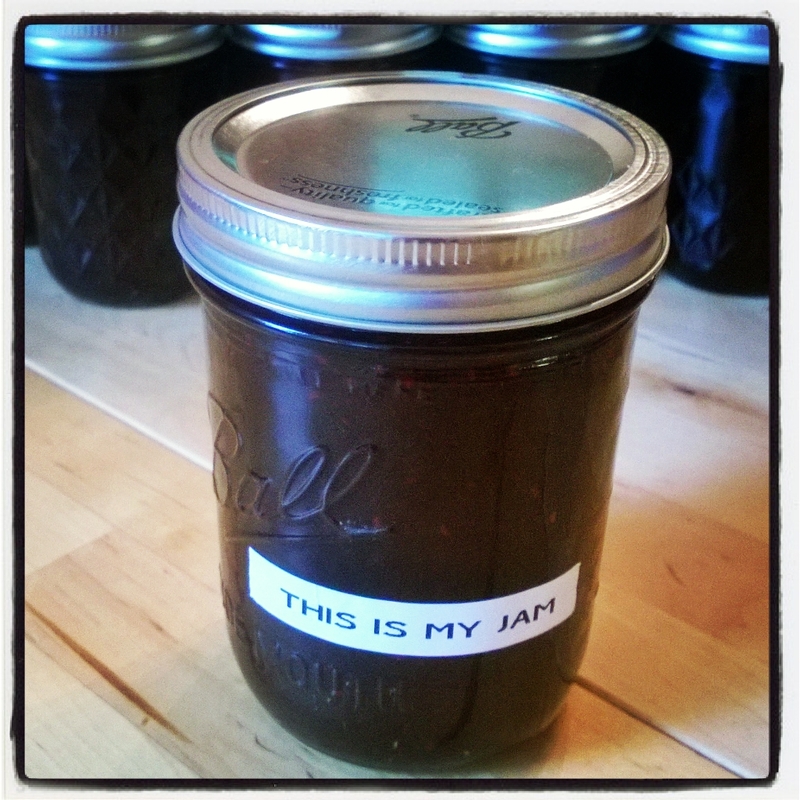 It was a hot jam but now it’s a cool jam. It is definitely a slow jam. It took several hours yesterday to make. Since Magoo eats jam like some people breathe air, I decided to make about 40 pints this summer, strawberry, raspberry, and blueberry. This kid spreads jam thicker than the bread. Lately, he’s decided that it’s easier to simply hold the jam jar upside down over the bread and pour it out. I ordered the blueberries for this jam PLO* and they came in yesterday right at the height of my Drops of Awesome-induced email writing frenzy. So, I would take breaks from writing email to make jam and then take breaks from making jam to write email, with Laylee helping me in every capacity. What child labor laws? 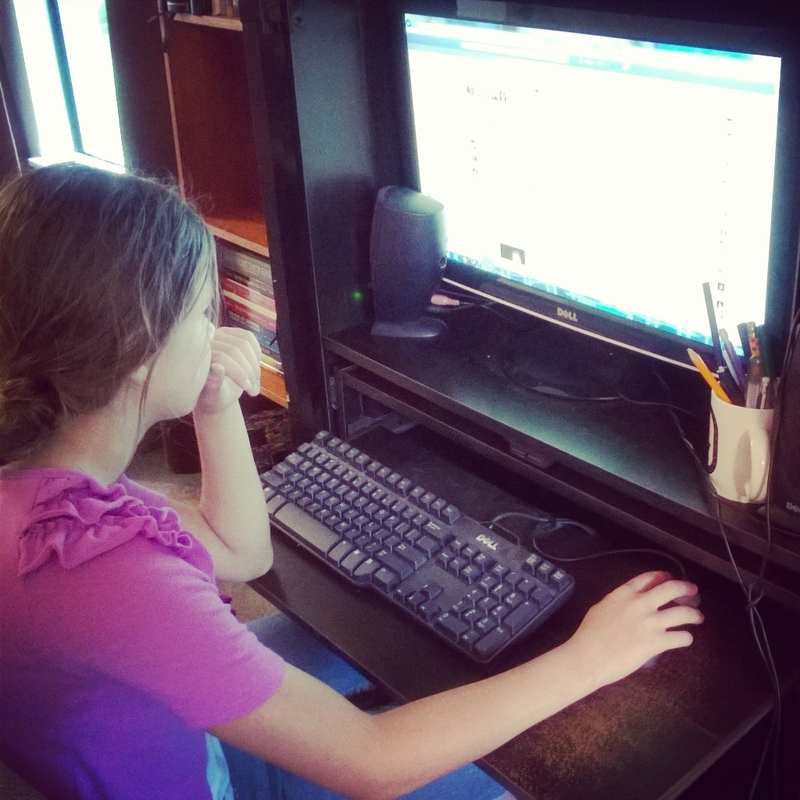 Clicking the “invite” button on Facebook repeatedly is her favorite. While the jam cooled, I ran out to my other jam session, a bucket-list hip hop class with my laydeez. When I say “bucket list,” I mean list of things to do before I turn 40, because I only have five years before I can never say, “I’m not forty yet,” again. I don’t think I’ve ever said it before, but five years from now, I will be never be able to say it truthfully again. So, before that happens, I need to do ALL the fun things. And this summer one of those fun things is breaking it down with my crew. These are the ladies who go to the Step Up movies with me… in costume. 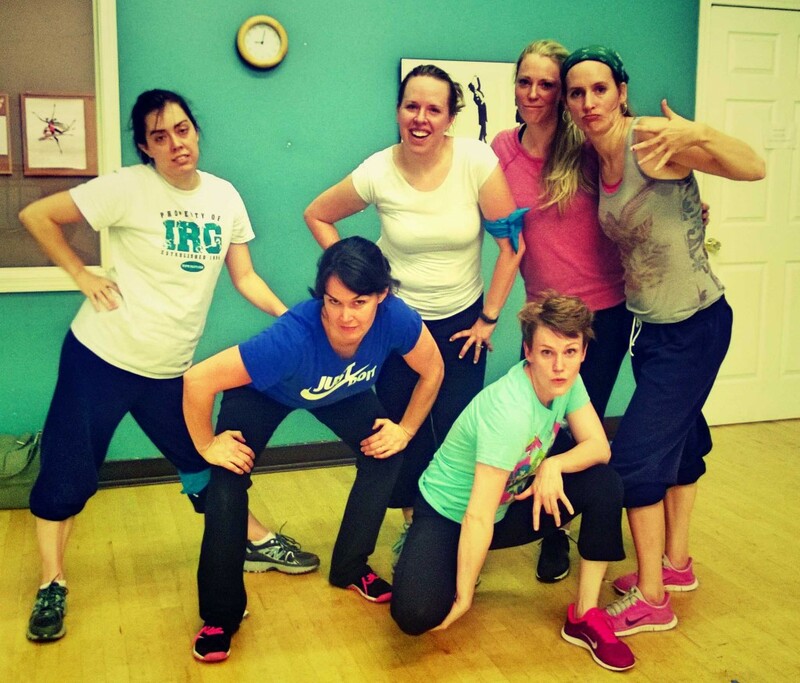 These are the ladies who just last night took turns performing our hip hop routine in pairs. Between the 6 of us, we have 23 children. None of us have ever taken a hip hop class before. These are the ladies who were available for this particular session and who happened to be around when I started begging people to take the class with me so I wouldn’t have to take it alone. If I ever take one again and you’re reading this, you’re invited. We are not an exclusive crew. If you have an abandoned warehouse we can borrow to practice our moves, you are invited times ten. 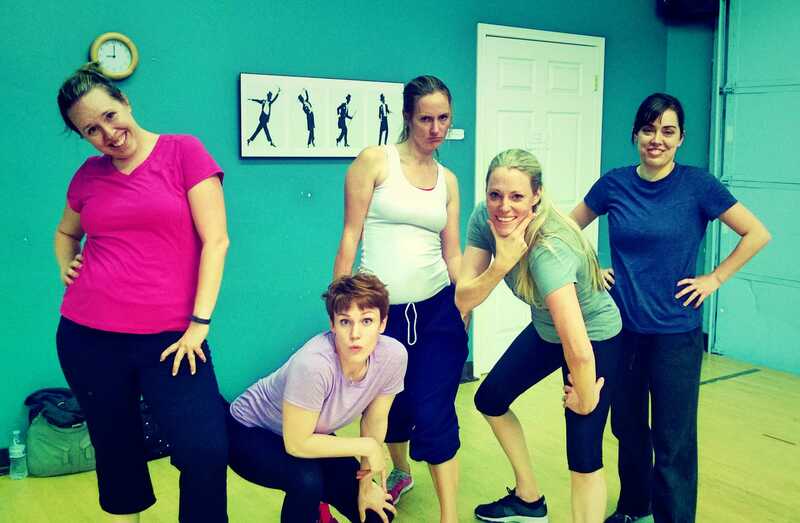 White mom hip hop class. Because it’s never too late to close your eyes and pretend you dance exactly like your young, super fly hip hop instructor. *We’ve started referring to things we purchased before the end of our time at Microsoft as Pre-Layoff or PLO. I don’t know why we think this is funny. We are pretty much laughing our way through this entire layoff. For example, when Dan was updating his LinkedIn profile one night, we were a little overtired and silly and he started filling in his resume with Facebook-Ad-Style-ClickBait headlines. “This Software Engineer just finished an 11-year stint at Microsoft. What happens next will AMAZE you,” as his summary. “How this Software Engineer got amazing results using just these 6 weird old tricks,” as a lead-in to his bullet list of skills. There are 10 listed. “What Obama Doesn’t Want You to Know About Dan’s Career at Microsoft,” a link to a PDF of detailed information about what Dan did at Microsoft for the last eleven years. Then he changed his current position to July 2014-Present Senior Software Design Engineer at Not Microsoft. The best thing about this was how two days later all of his contacts got an email suggesting they congratulate Dan Thompson on his new position at Not Microsoft. If you can’t laugh your way through a layoff, what’s the fun of having HR misplace your job? Am I right? So, if writing a new book is like a honeymoon and editing it is like going to marriage therapy, then marketing a book is like begging your friends to tell everyone in person and online how awesome your marriage is and if possible give you money… because you truly believe that publicizing and selling the heck out of your marriage will help people be happier. That’s where I am this summer. Let me start by saying I love this book. I would go so far as to say I heart it. It’s like I took my Drops of Awesome post, broadened its audience appeal, wrapped it in marshmallow peeps, shot it full of healthful organic steroids, sent it to design school, sprinkled it with fairy dust, and squished it into a journal. I want you to buy this book because I like you. I want you to buy this book so you will like your life more and so you can stop trying to figure out what to buy all your lady friends for Christmas. I a little bit want you to buy this book so I can justify sitting in front my computer eleventy-hundred hours each week and so I can afford to fly out to where you live and meet you. During this process, I am learning new things all the time. For example, I knew it was a good thing if people bought my book. But, I did not know that if everyone bought my book on May-tember 49th at precisely 3:65pm, it would be EPIC. These are mysteries of which you need never have knowledge, lest you publish a book or lest you want to help market mine. So do you? Huh? Huh? 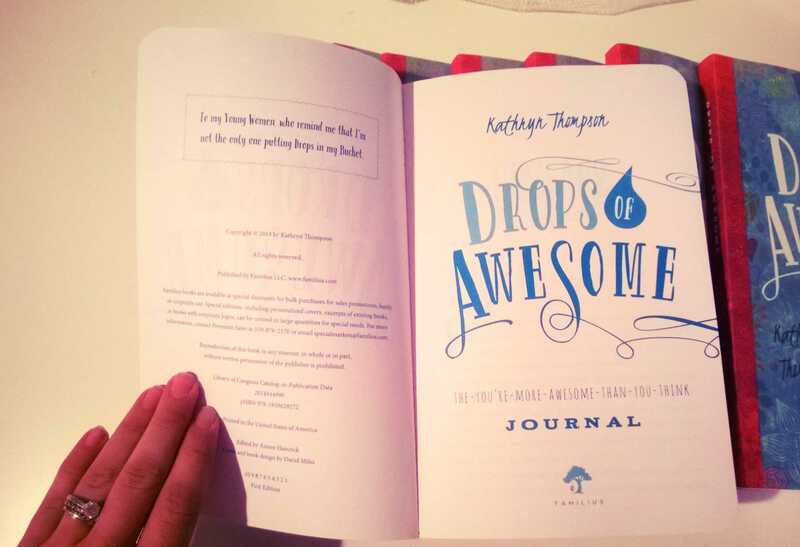 I am putting together a Book Launch Team for Drops of Awesome: The You’re-More-Awesome-Than-You-Think Journal. The book comes out in September and I would be grateful to anyone willing to help promote it. If you sign up to help, you will get… FREE EMAIL!!! Basically, my PR friends from Familius and I will let you know what promotional action would be most helpful at any given point and in return for helping out where you can, you’ll get an early look at some of the content and my undying love and affection. Also, I will incorporate all of your names into a piece of high-level preschool-style word art, which I will hang on the wall in my laundry room for at least one week. Please leave a comment below if you’re willing to help me. I’m so excited for this project to make its way out into the world. I know it can do a lot of good. With your help, it can do a more lot of good than if I work alone.